ReachForce is focused on helping marketers add more credibility into their data. 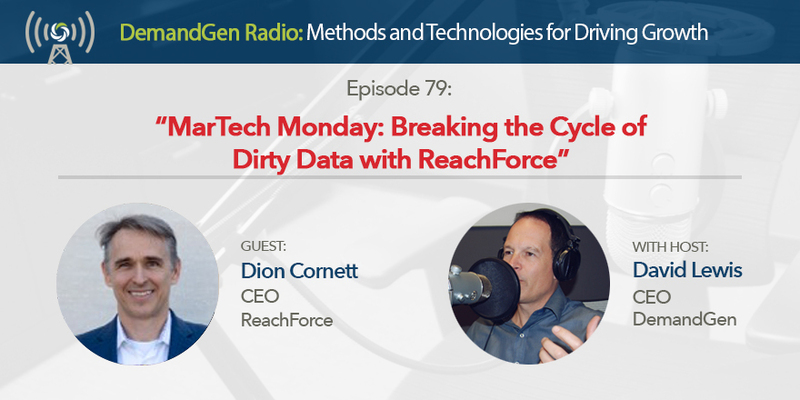 In this episode, Dion Cornett shares some of the latest advancements to ReachForce’s data orchestration platform and how his company is making it easy to enhance data quality and fill data gaps. Listen as Dion and I also talk about the responsibilities behind data management and highlight who should be in charge of those responsibilities, cover the importance of having complete and accurate data, and explore how ReachForce is making it easier for marketers to implement and deploy new martech tools.